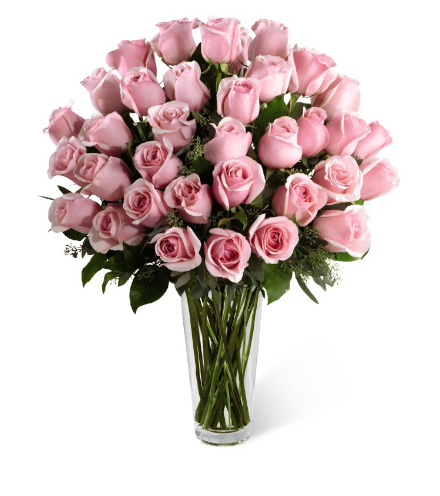 If you are looking for the perfect gift for a special someone in your life, then a pink roses bouquet is a stylish choice. This collection of two-dozen, fresh-cut roses makes a gift one won't soon forget. Brilliantly displayed with seeded eucalyptus inside a simple clear glass case, these soft pink roses are an incredibly sight. Order this memorable gift online today and add a complimentary gift message.